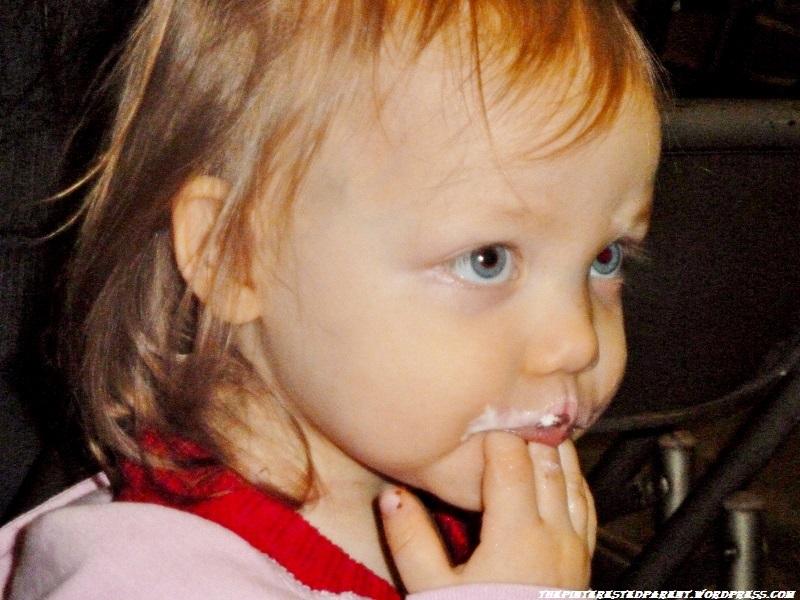 If you give your toddler a cookie…they will probably want another cookie. Just like in the popular children’s book, there are consequences when you give your child a cookie. I hate to sound like a broken record but my daughter really is a horrible eater. It is very difficult making meals that she will actually eat more than two bites of. Of course one thing that she will never turn down is dessert. Not that I blame her. Who doesn’t love sweets? I don’t want to be one of those mothers that deprive their children from cookies & cake. I think long term it is better to let them have a little bit of sweets every once in a while, so that they don’t overdose on it when they get older because it was forbidden. It still does not mean I want her eating them every day. This is a hot debate topic in our house. My husband likes to indulge our daughter’s sweet tooth way more than I would like & I have to admit I did as well over the holidays. 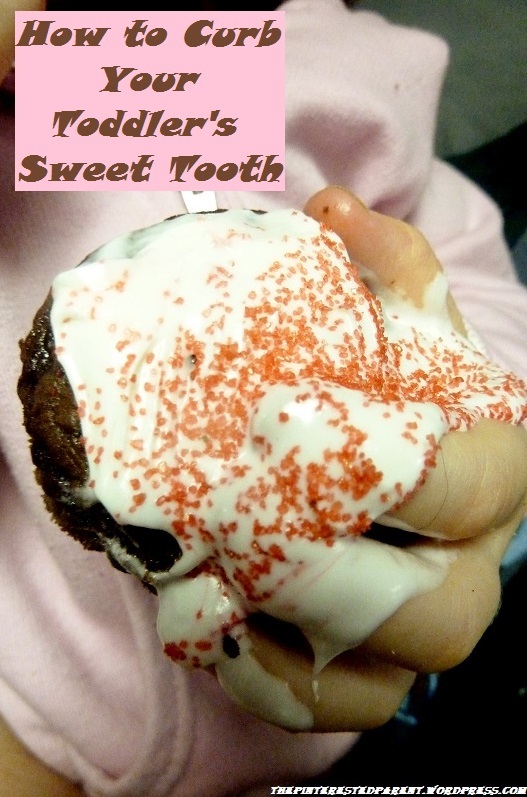 There are many reasons I try not to make sugary treats a regular thing in our home. 1. Nutrition. While she is filling up on yummy sugar filled snacks, she is not leaving room for nutritious meals. Not only is she not leaving room for those meals, she is developing a preference for sweets over substance. 2. Tooth Decay. I don’t know about your toddler but my daughter doesn’t have the best relationship with her toothbrush. I brush her teeth every day, but it is a battle. She will brush her own, but she only really chews on it. I have heard horror stories of children developing tooth decay & that is not anything I want my daughter to go through. 3. Hyperactivity. Mai is hyper enough on her own, she does not need the sugar assist. 4. Belly Aches. Have you ever overindulged on chocolate or ice cream? I have. It is not a good feeling. It is not fun having a sick toddler, especially when you could have prevented it. 5. Obesity. Just like us, if your child digests too much junk food, they will gain weight. Childhood obesity is on the rise & that is greatly in part of poor diet and more sedentary life styles. 1. Introduce a wide variety of foods to your child. Use whole grains instead of enriched whenever possible. Serve fruits and vegetables daily. Get creative. I often sneak vegetables into everyday meals by grinding them up in meat or adding veggies to our morning omelets. My daughter also loves veggie burger. 2. Moderate portions. If you are enjoying the occasional slice of birthday cake or an ice cream cone, remember the size of your little one’s bellies. They need far less to be satisfied than we do. Sugary beverages count as well. Even juice has a lot of sugar. My daughter loves juice. We only pick 100% fruit juice & vegetable blends & cut it with water. 3. Give them healthy, natural sweets. Fruits are a great alternative to a cookie or a piece of cake. When baking, substitute honey or apple sauce instead of sugar to your recipes. 4. Assist with the tooth brushing. They may hold the brush & put it in their mouth but most toddlers are not really brushing well enough on their own to remove food debris from their teeth. 5. Do not use sweets to reward bad behavior. It is easy when your child is having a meltdown to throw a piece of candy at them. Not only is this bad for all of the above reasons, it also teaches your toddler that bad behavior results in receiving junk food. The greatest thing we can do for our children is to lead by example. We could all learn to eat a bit better ourselves. Thanks Janine. I will try that. That is actually a great idea. My four year old uses the battery operated brushes. In fact in their stockings I always get each child a new toothbruth. My littlest (two) I still brush his teeth and he’s great with it. But I do understand what happens when you give a child a cookie all too well and their lack of wanting to eat the healthy stuff after that. Thankfully with our four year old we have strict rules for him to follow about how many healthy foods he must consume first before getting a treat. The two year old doesn’t quite grasp that yet and can throw a tantrum over it. But the key is to never give in to that tantrum. Let them scream cry and yell. They will get over it and move on. Thanks for the tip on the tooth brush. I am going to have to give that a try.I know about the tantrums. Lol! I don’t give in, but she has daddy wrapped around her little finger & he is a caver. Thanks CIndy. Happy New Year to you as well. While I try to limit the sweets, I am also proactive. My daughter gets her teeth cleaned every 6 months by the dentist. And we also have active time for 30 minutes, 5 days a week. That is great Misty. HOw old was your daughter when you first brought her to the dentist? We tried to bring her at the beginning of this year & they told us she was too young. I think she was 3 or 4. You are welcome. Thanks for stopping by. Have a Happy New Year. Very good points on the sweets. With Diabetes at epidemic levels in our society, Moms have to begin healthy eating habits in their babies at a very young age. Kudos to you. I just joined my first Chain Link Climb. I am following you thru Bloglovin. I hope you will follow me as well. I love this. One of the best things we can teach our children is that life is all about balance. the fun battery powered toothbrushes helped my kids get more into brushing. or the 1D brushes. so now i associate one direction with teeth brushing. but whatever! I really like your tip about not rewarding bad behavior with sweets. It is so easy to give in & give them what they want but you are so right, they will equate that behavior with sweets. Very good tips. We also like to buy no sugar added products. That way our son does not get used to added sugar. The hardest thing for me was peanut butter. Had no idea how much sugar was in Peter Pan! But my son has no idea and is happy with his no sugar added peanut butter. My kids are major sweet-a-holics. I guess they take after me. BUu I limit what they can have.